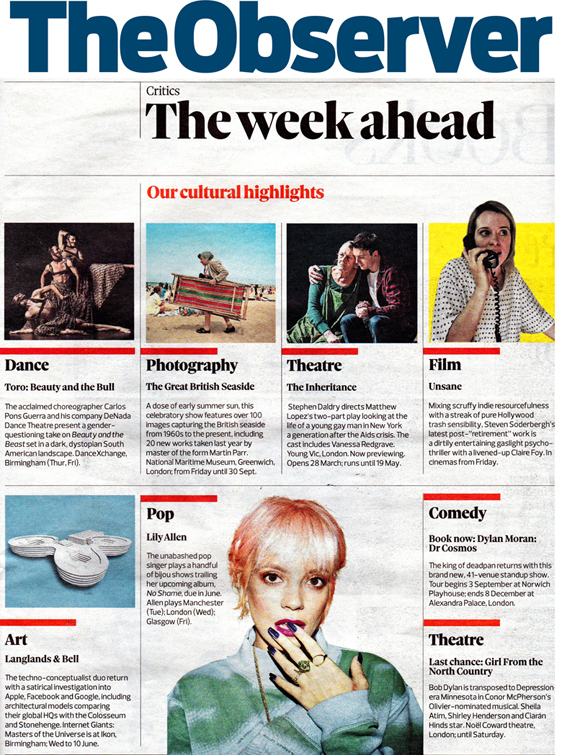 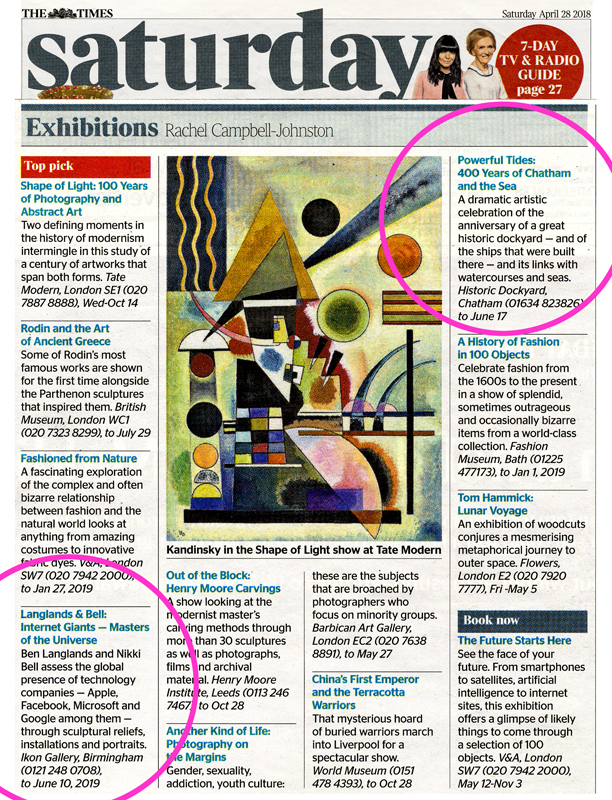 The Observer Critics, The Week Ahead, Art, Our Cultural Highlights 18 03 18. 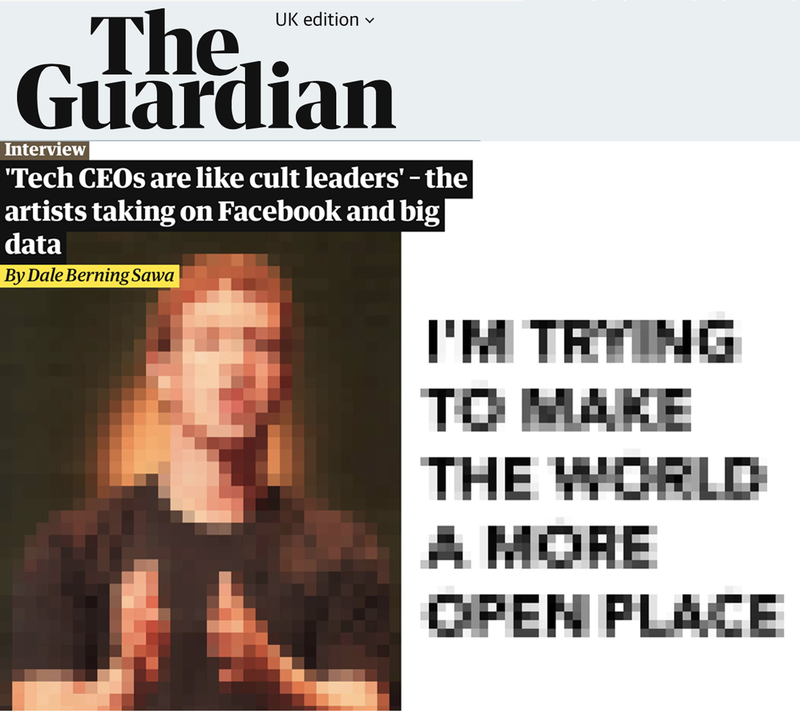 The Guardian Dale Berning Sawa, Tech CEOs are like Cult Leaders..21 03 18. 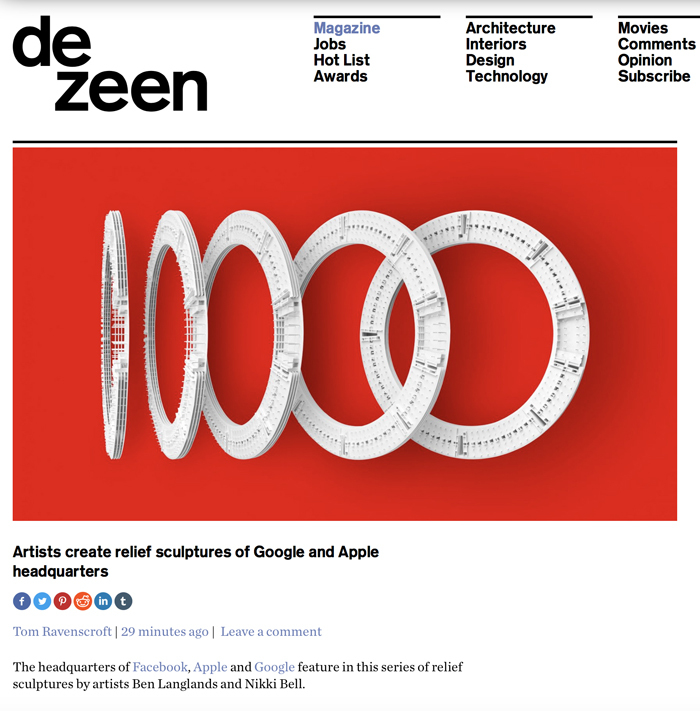 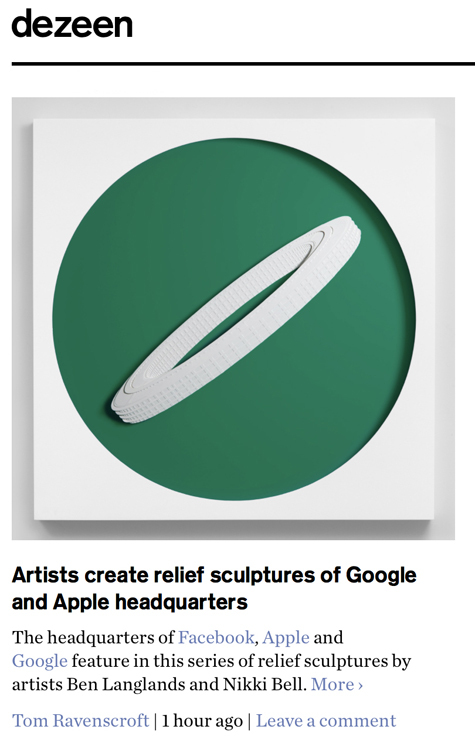 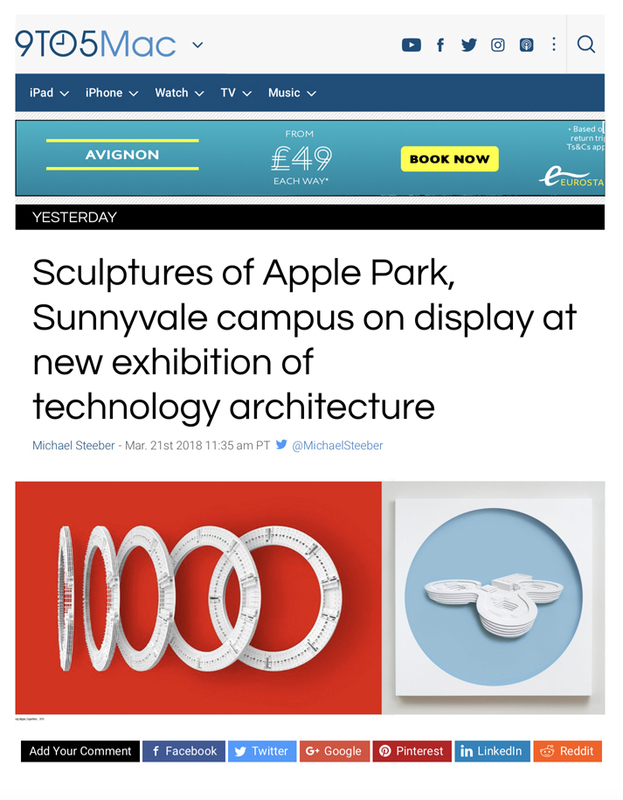 9 To 5 Mac Michael Steeber, Sculptures of Apple Park, Sunny Vale on Display at new Exhibition of Technology Architecture 21 03 18. 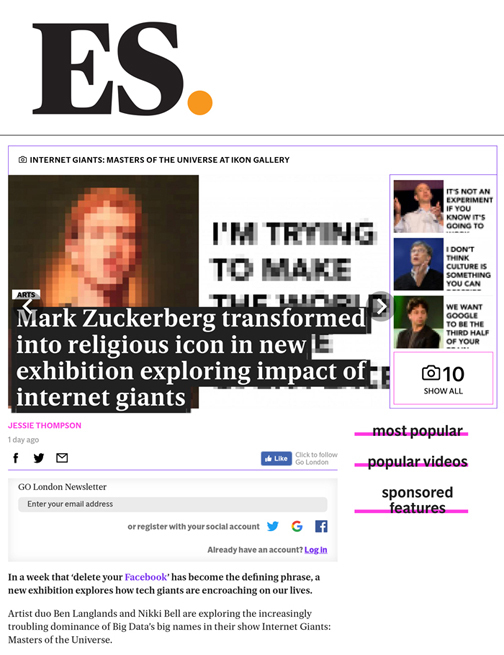 Evening Standard ES Magazine Jessie Thompson, Mark Zuckerberg Transformed into Religious Icon in new Exhibition Exploring Impact of Technology Giants, 21 03 18. 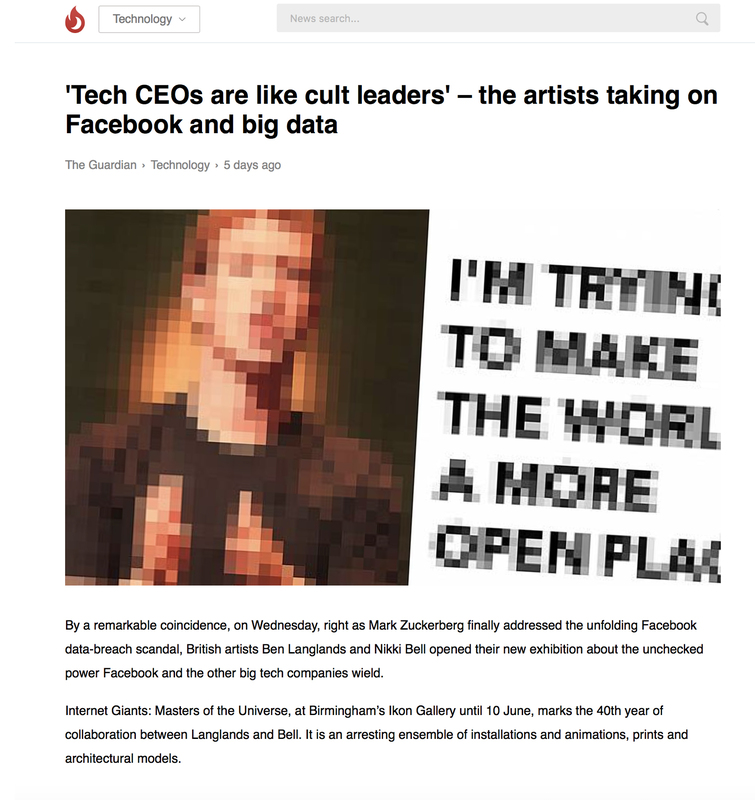 Fire News Tech CEOs are Like Cult Leaders 22 03 18. 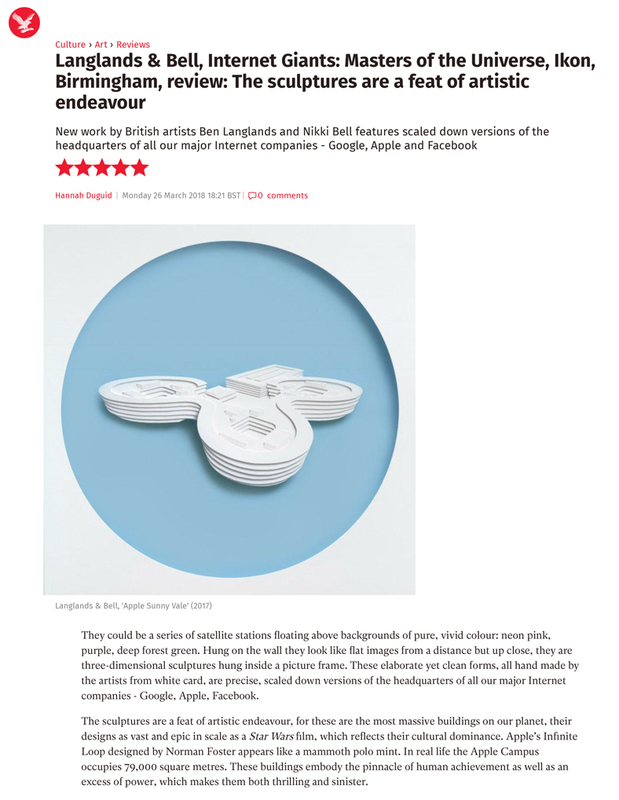 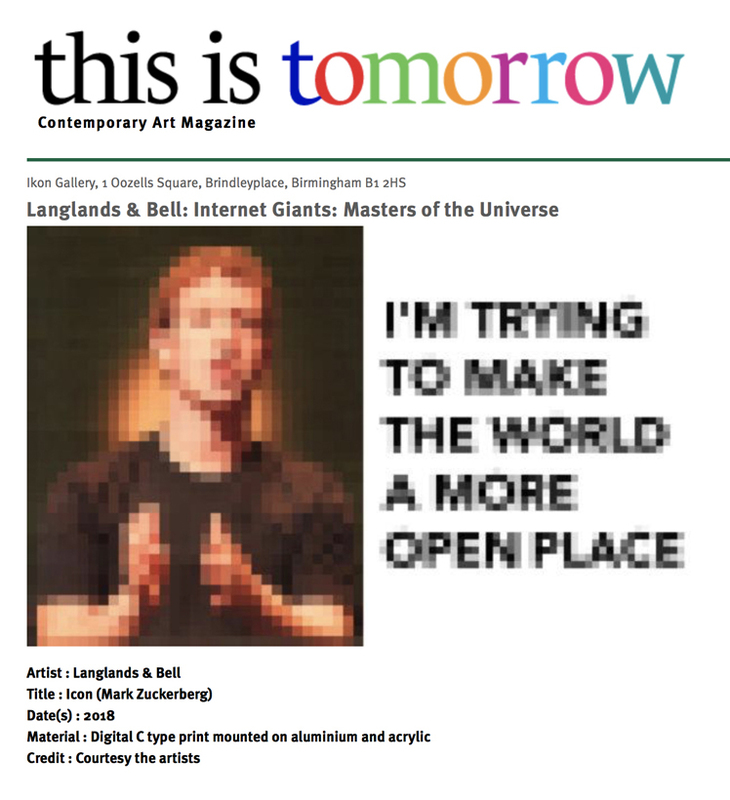 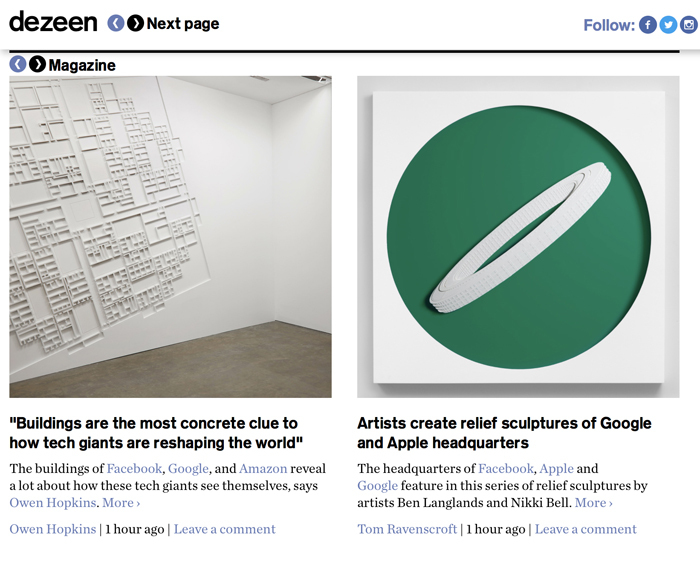 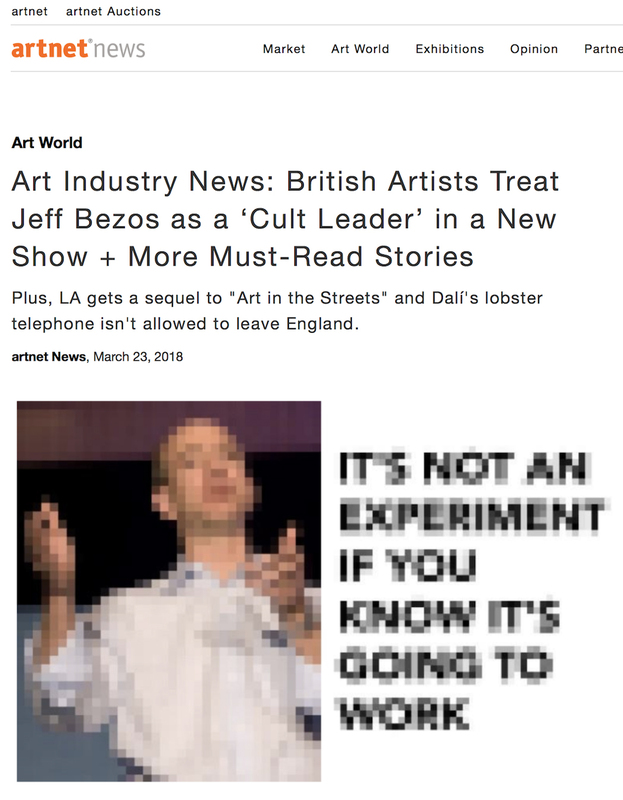 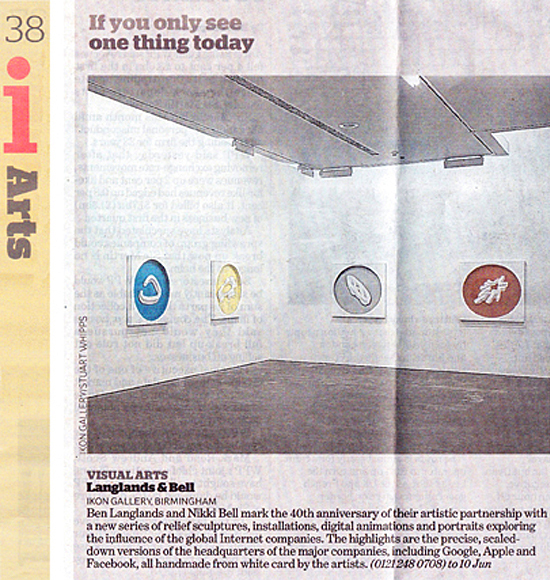 Art Net Art Industry News, British Artists treat Jeff Bezos as Cult Leader, 23 03 18. 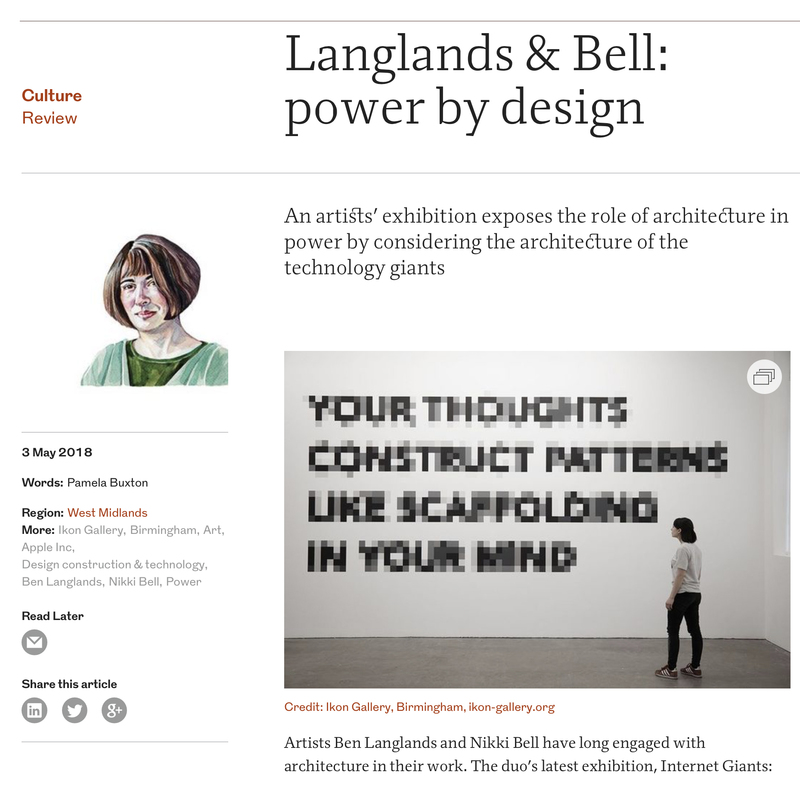 Independent Hannah DuGuid, Langlands & Bell, Internet Giants : Masters of the Universe, The Sculptures are a Feat of Artistic Endeavour. 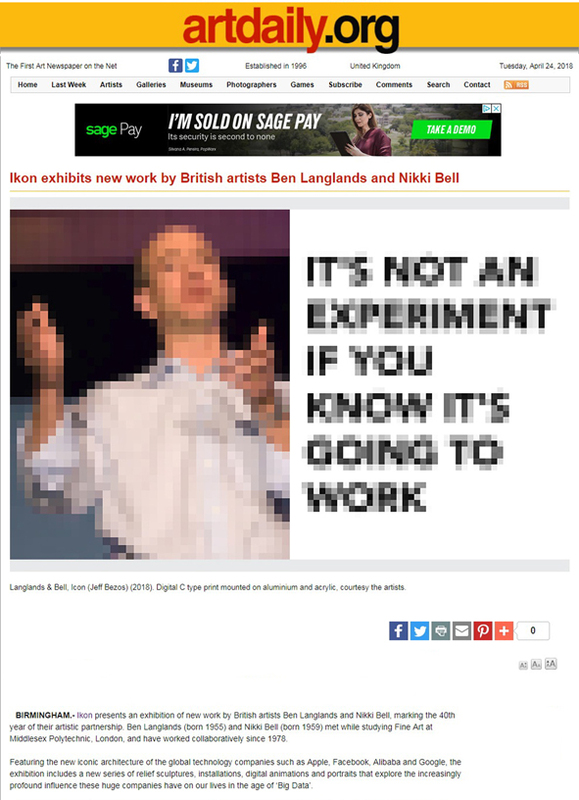 27 03 18. 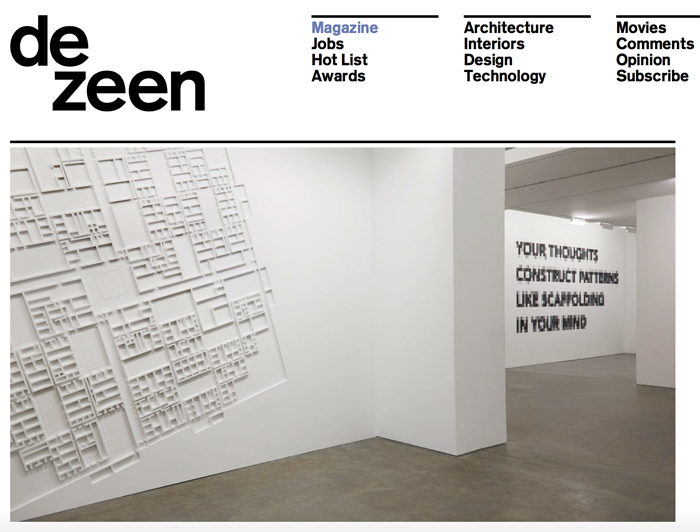 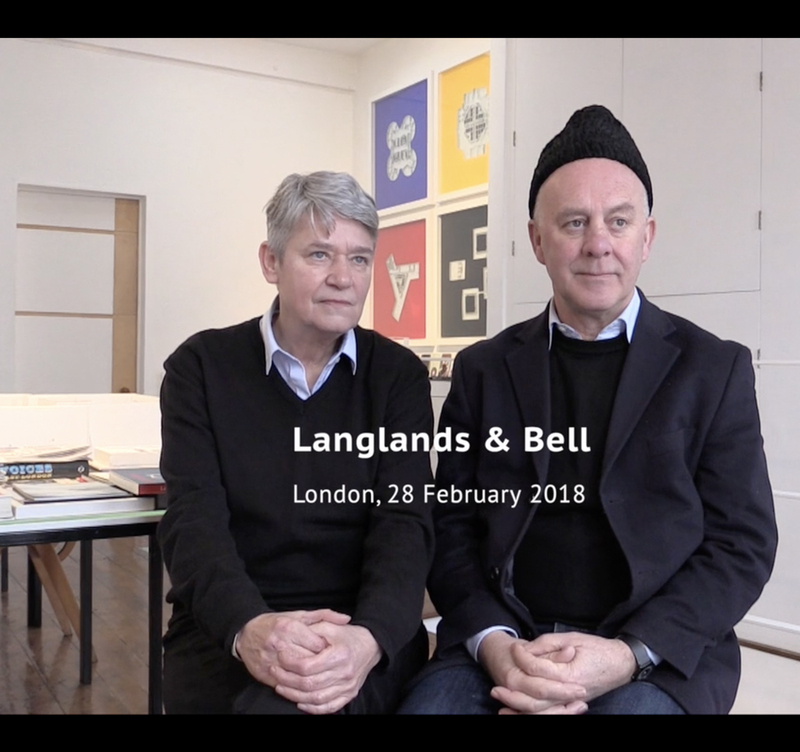 Studio International Interview: Veronica Simpson & Martin Kennedy. 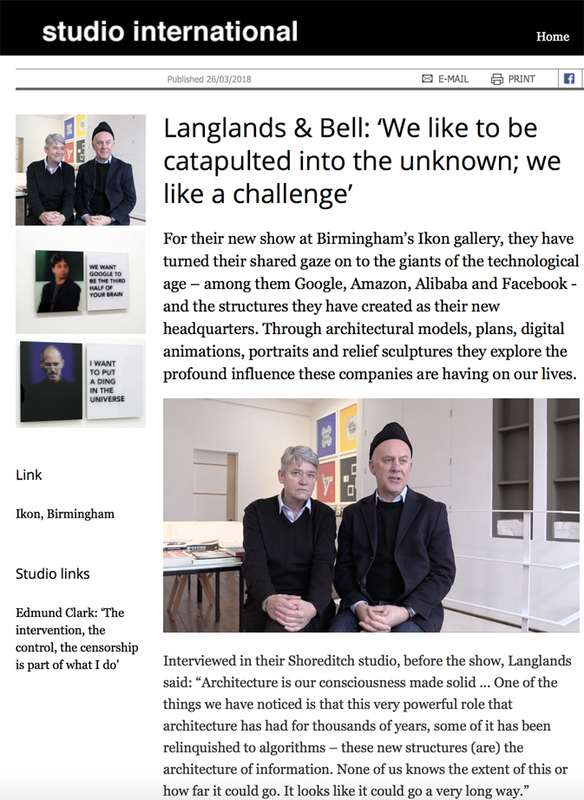 We like to be catapulted into the unknown 27 03 18.